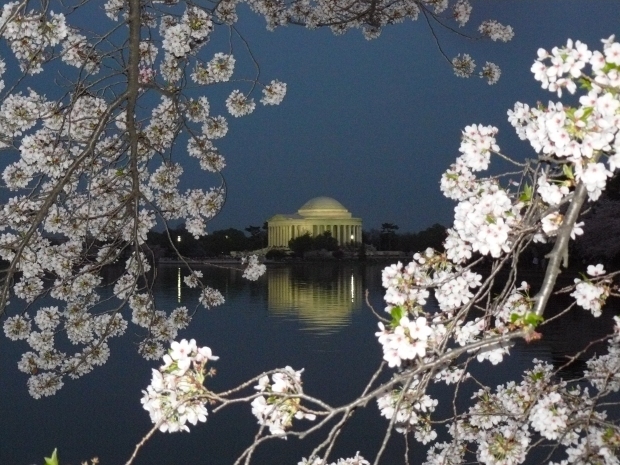 100 Years of Cherry Blossoms in D.C. Blossoms have mostly fluttered away, but the festival is going strong -- and that includes dining options. The cherry blossoms have mostly fluttered away, but the festival is going strong through April 27-- and that includes dining options. Whether you're looking for cherry blossom-inspired cocktails (go here for those) or menus, local bars and restos have you covered. Bastille (1201 N. Royal St., Alexandria) is dishing up cherry options a la carte, including pan-roasted Moullard Duck breast with Port and cherry gastrique sauce ($28) and Morello cherry mousse with Amaretto cherries ($9). And at Paul Bakery (801 Pennsylvania Ave. NW) through April 29, you can scoop up everything from cherry twisted bread ($1.50), cherry cramique brioche ($5.45) and cherry Napoleons ($5.45). Those are also available in portions of four, six, nine and a dozen, which is convenient if you're trying to make everyone in your office totally love you.